Please Vote for the Pediatric IBD Top 10 Research Priorities Video! We have great news from our Patient Engagement Committee! Using funding from the Nova Scotia Health Research Foundation they have created a 5 minute video about patient, caregiver and clinician priority setting partnership’s work to identify the 10 ten shared research priorities in pediatric inflammatory bowel disease. The ‘Speak up! 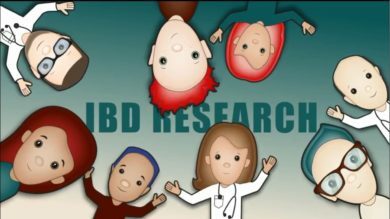 The top 10 shared research priorities in pediatric IBD’ video has been accepted and uploaded to the CIHR Institute of Human Development, Child and Youth Health (IHDCYH) Talks Video Competition YouTube Channel. Please visit the video using the link below and click the Like button to vote for it. You will be asked to sign in to YouTube to have your Like recorded. If you do not have an account, then creating one is very easy. Please share the link below as widely as you can – tell your colleagues, your friends, your social media contacts. Voting happens for the whole month of November.